Citrix offers two products to deliver hosted resources to users: XenApp and XenDesktop. Although the products share great similarities (and since v7.x the underlying architecture is now common, FMA rather than IMA), have their unique characteristics. What product do you need? When and why? In this article I’m trying to help you make this decision based on a decision tree. During the course of this article I’m assuming you’re designing a XenApp / XenDesktop 7.x environment, however the principal is equal for XenApp 6.x and XenDesktop 5.x. In 2013 Citrix merged their application and desktop delivery solutions XenApp and XenDesktop into XenDesktop 7. XenDesktop 7 (XD7) combined the ability to provide remote access to single- and multi-user Windows platforms improving their FlexCast technology. Besides that we got rid of the ancient IMA architecture, what I liked most was the fact that there’s now one single product to offer access to single- and multi-users applications AND desktops: XenDesktop. 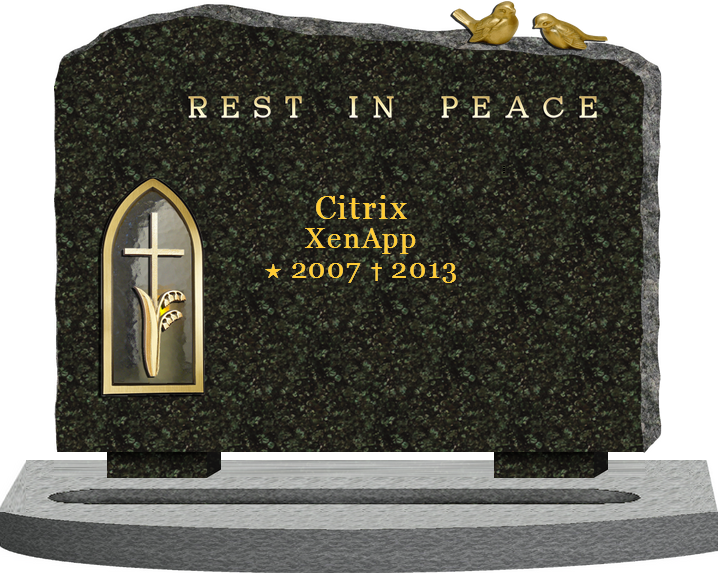 Nonetheless we had to let our beloved XenApp go. After numerous evolutions and name changes (WinFrame >> MetaFrame >> Presentation Server >> XenApp) this was the end of an era. But, Citrix did skip the cursed version 6 for the XenDesktop product range. Hooray! In my previous article you’ve read about my aversion against the term VDI. The introduction of Citrix XenDesktop 7 showed us that delivery of applications and desktops from shared and private computers are now integrated in one product. This requires us to explain the difference between shared versus private instead of XenApp versus XenDesktop, so now really is the time to start using new (and proper) terminology. In the previous virtual desktop word bingo article I’ve asked you if you think we should abandon the term VDI, 61% agreed while 26% disagreed. The response showed that a lot of readers agree the term VDI is “incorrect” but replacing the term will be tough. Nonetheless I strongly believe we, as the community / experts, should strive to replace “VDI” with more future ready terminology.